After Joshua tells his mother about taking a man's life in a horrible accident, she is forced to make a choice, one that draws them both into a web of deceit that will change their lives forever–if they make it out alive…. Sign me up to receive news about Tom Hunt. I didn't get a chance to download the book as I was notified one day before the time to download expired. Reading other reviews, this doesn't sound like it would have been one that I would have enjoyed. 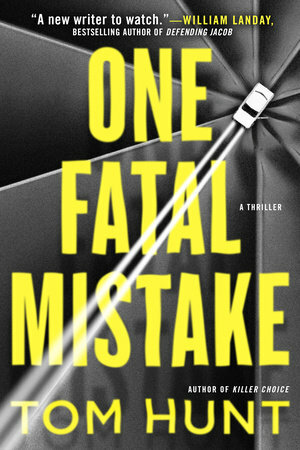 'One Fatal Mistake' by Tom Hunt, is one fast-paced, rollercoaster of a mystery! Twists and turns gallore, the reader is quickly pulled deep into a captivating, enthralling ride that developes from an unlikely chain of events, that changes the lives of everyone involved forever. With tones of ethics and love (family), plenty of tension, and riveting family drama and crime drama...one fatal mistake is just the begining of this tension filled unputdownable thrill ride! My thanks to Penguin First to Read for the oppurtunity to read an advanced arc in exchange for an honest review! Not very interesting overall. It just wasn't my cup of tea. I didn’t even get a chance to read this book. I didn’t see that I had gotten a copy. Now my download period has ended. This book was deleted before I could review it. One fatal mistake sets off a crazy and chaotic chain of events for 18-year-old Joshua Mayo and his mother, Karen. When Karen learns that Joshua has accidentally killed a man and fled the scene, she's is faced with a dilemma — help him cover it up, or risk him going to prison and ruining his future. Little do they know, that one mistake is just the tip of the iceberg. ONE FATAL MISTAKE is a super-fast paced and unique thriller. It's part crime drama and part family drama with lots of tension. While the characters felt real and their predicaments made me anxious, some of their actions were so frustrating. I suppose if you're caught up in extreme situations trying to save your child, you may not make the best decisions. Overall, this was an entertaining read I'd recommend to fans of suspenseful survival stories. Not really a mystery, but definitely a thrill ride. (Also enjoyed the Midwestern setting. Cedar Rapids!) 3.75 Stars. This was a suspenseful twisty tale with an interesting plot. It was not the best thriller I have read recently, but I did enjoy it. Tom Hunt's One Fatal Mistake is a fast-paced thriller that definitely makes the reader think about how a parent should respond to a child's tragic mistakes. This novel keeps the reader on the edge of his/her seat with surprising twists. I don't agree with many of the choices the main characters make, but it was interesting to watch them make them and deal with the consequences as best they could. Thank you to Penguin's First to Read for sending me this ARC. Fast paced and captivating. VERY thought provoking. A great tale full of suspense and energy. Well worth the time. I really enjoyed this novel! This is definitely a book that shows what a mother will do to protect her son. Joshua and his mother are thrown into a very deadly situation and they will untimately fight for their survival, as well as the survival of Joshua’s father. This novel had me reading just to find out what would happen next. It had me sucked in from the very first page and I loved it! Thank you to First To Read for an advance copy of One Fatal Mistake by Tom Hunt. An outstanding, fast-paced mystery that had me hooked throughout. A quick read that entertains and shows how bad decisions just keep compounding but, can it all still somehow come out OK in the end? Perhaps a little more editing eliminating needless verbiage would have helped, but that is nitpicking and I wouldn't want to keep anyone from giving One Fatal Mistake a try. One Fatal Mistake is not the type of book that I pick up often. That being said, it didn't turn me into a lover of thriller novels, but I did enjoy the story. I'd recommend it to anyone who enjoys fast-paced novels and is interested in thinking about how far one would (and should) go for a loved one. We all like to think that we know exactly how we would react to any given set of circumstances, but do we really? One Fatal Mistake certainly begs that question. The characters aren't particularly likable, but they are easy enough to relate to and even empathize with at times. Other times, not so much. At any given point in this fast-paced page turner, I was ready to root for one person while wanting to shake the daylights out of someone else. The pacing and writing style keep the pages turning with a story that is a brilliant combination of dark, twisty, frustrating, and gripping, and I have to say that the conclusion was surprisingly original - something I don't see nearly often enough in the thriller genre. To sum it up, this one does exactly what a great thriller should do - it kept me on the very edge of my seat with a steadily building tension and thought-provoking premise. The story held my interest, but several parts of the plot just didn't seem plausible. The ending seemed to come too quickly after so much buildup. I also found it odd at times when the dialogue was repeated. Wasn't sure if this was an editing error or not. Overall, not a bad read, but not as good as it seemed from the description. One Fatal Mistake is an action thriller from author, Tom Hunt. The novel features dual storylines that are tragically intersected. The players are a teenager, his parents and a trio of bank robbers. Two seemingly unrelated situations are brought together with disastrous results. Joshua is a high school senior living with his divorced mother, Karen. His father Teddy is still actively involved in Joshua’s life and figures prominently in the story. Joshua is involved in a tragic hit-and-run car accident. His parents attempt to cover for him, which may have been the wrong thing to do. Amber and Ross are a married couple, and Shane is Ross’ older brother. The trio decides to rob a bank, which doesn’t go as planned. Their plan is disrupted and they end up on the run. A series of plot twists joins the two groups, and chaos ensues. The value of truth, the devastation of lies and betrayal, and the redeeming factor of love are all explored in this novel. The central issue becomes: how far would you go for a loved one? I enjoyed One Fatal Mistake, but it has some flaws. The characters aren’t fully developed, and some of the plot is fairly predictable. However, there were some unexpected twists. The story held my interest from start to finish, but I didn’t like the lackluster ending. I still recommend reading this one and give it 3 out of 5 stars. I was given the opportunity to read an advance copy of this book as part of Penguin's First to Read program. However, the opinions expressed in this review are 100% mine and mine alone. This is definitely an action packed thriller with twist and turns that you won't want to put down. The characters make a wrong decision that snowballs into a big mess. With any mess you need to clean it up. I enjoyed this book and look forward to read more books from this author. This is a true thriller, once I started it I could not put it down. The main character is Josh, who by everyone's standard is the all American teenager who is finishing out his senior year of high school and looking forward to getting accepted into the university of his dreams. He's being raised by his single mother, Karen who's life pretty much revolves around him. Josh is involved in a terrible accident and does the unthinkable act of leaving the scene of the crime. He's thinking he can just get forget about this incident and it will go away. But, that is so far from what happens it's eating him up inside, he's overthinking things and finds himself back at the scene to make sure that there is nothing that can tie him to this crime. Karen who is already worried by his behavior tracks Josh back to the scene and they find more than they bargained for. This is when things get really crazy. I loved the fast-paced, split-second decision making parts on Karen's and Teddy's part to save their son. They are both put in some deadly positions to make sure that their son is safe from some brutal, sadist people. If you like suspenseful and an edge of the seat read this is one for you. Disclosure: I would like to thank FirsttoRead and the publisher for providing me with an e-galley of this book in exchange for my honest review. I enjoyed this book. It was fast paced and had twists that kept me interested and I had difficulty putting it down. I almost finished it in one sitting. The story centers around a teenager who is finishing his senior year in high school, looking forward to begin his college life. One evening, when he was out with his Dad, an accident occurs and a split second decision by them changes their lives forever. When the son explains the situation to his Mom, she shares in the decision and does what she needs to do in order to protect her son. As a parent, you understand the decision to shield the son but you have to question how far would you go to protect him? I received an ARC from firsttoread, Tom Hunt and Penguin Random House in exchange for a honest review. Review will be posted on GoodReads and Amazon. I found this book to be fast paced at times but other times it was rather slow going. I felt like the author kept repeating words when the reader should have been able to follow what he was saying. There was also a point at the end where the author mentions something about a character dying but there had never been any mention previously that she had died and she had certainly not died in that room. Not the worst book I've read this year but not the greatest. This was a fast paced, suspenseful novel, that really pulls you in and keeps you there. I flew through the book, rooting for certain characters as I went. The book involves an 18 year old, Joshua, and his "fatal mistake" of leaving the scene of a car accident involving a death. Joshua is, in other areas, your typical teenager waiting to graduate senior year and go away to college. He lives with his mother, Karen, although his father, Teddy, is very involved in his life. The book follows them as they try and navigate their chaotic lives after the accident. They are faced with many hard choices that can throw all of their lives one way or another. As I said I liked the book, and I got through it fairly quickly. I would recommend it to anyone looking for an easy read, and who enjoys a little suspense. This ARC was provided to me by First to Read for my honest opinion. Joshua is at the beginning of his life waiting for acceptance letters from colleges he has applied for. When the worst thing that can possible happens does. He hits someone with his car and then he leaves the scene of the car wreck. He is a wreck the next two days and then uncovers that he has lost a glove and goes back to the scene of the crime. The body is still there and then his mother ends up there as well since she has noticed his strange behavior. What happens next will leave you speechless. I was initially drawn to this book because of the introductory quote by Lee Child, one of my favorite authors. While I didn’t put the book down once I started it, it was not quite as suspenseful as I would have hoped, but maybe that was because for me I was side tracked by what dumb decisions the characters kept making. Overall, I still enjoyed this book and want to thank First To Read for my ARC. I was disappointed in the book. The characters were not well developed. I didn't really care about them. The last page spoke of Amber dying in the bedroom when she hadn't died at all. Factual inconsistencies were more memorable then the story. I was very intrigued by the synopsis of this book and even more intrigued when I found out some of it involves Nebraska! (Which is where I live!) This book was so enrapturing with all the action going on! It was a pretty quick read also. This was a really good story but I must admit I was a little let down at the end. It seemed so action packed and then the end was kind of blah. I would still recommend it though! There are so many offerings in this genre at present, and it would be nice to be able to write a review that calls this one superlative in some way. Characters are adequately developed, plot is decent, the writing is fine. But nothing stood out. About the best thing to be said—it’s average. Unfortunately, that’s also the worst thing to be said. I enjoyed reading it at the time, but I suspect it will be hard to remember anything about it in 2 weeks! This book was not what I was expecting, and I mean that in a good way. I feared that it was going to be one of those hand-wringers in which the parents are filled with angst over their child's problem, leading to fraught family relationships. However, this book turned out to be a fast moving thriller, with unexpected twists, that I finished in a day. The book begins with 18 year old Joshua Mayo trying to dispose of bloody evidence linking him to a hit and run fatality. It appears that he was not alone at the scene of the crime, because he keeps getting texts from an unnamed accomplice. Joshua's mother Karen is an intensive care nurse who has no idea that her son was involved in an accident. Her nursing training becomes relevant later on. In chapter two we are introduced to a trio of inexperienced, undisciplined and pill-popping bank robbers. Once these two groups of people come into contact, mayhem ensues. There's no way I was going to stop reading until I found out what happened. The pacing was crisp, the characters were relatable and the plot, including the ending, was plausible. I received a free copy of this book from the publisher. Though this story revolves around a teenager and his parents decision to hide a crime/self-defense decision, the real story for me is about the accidental meeting with a Bonnie and Clyde-type couple and an even more malicious older brother. This is a fast read mostly because it was underdeveloped but the basic premise was there. Tom Hunt has authored a mystifying thriller where the paths of two different crimes intersect. It is mystifying to me because I cannot believe these people would behave so stupidly. The first crime involves Joshua, a teenager who makes a stupid mistake under the guidance of his father. The second crime occurs when a young couple makes numerous mistakes after participating in a bank robbery. The action in this novel in nonstop, making a constantly suspenseful story. The characters are perfectly etched as moronic people. For those who are squeamish, this novel contains a lot of violence. I really enjoyed this book. It's amazing how one action can just snowball into such a mess. The narrative was fast-paced and kept my eyes glued. Tom Hunt did a superb job of storytelling. One Fatal Mistake is a fast-paced action-packed crime thriller. In typical crime fiction fashion, one bad deed deserves another and before you know it the characters are all headed down that highway of no return. What could go wrong with a little bank robbery? What could go wrong with a little jaunt through the wilderness? Coverups and backstabbers and hostagetakers. Read this one for kicks. I received an early copy of this through Penguin First To Read. This was a fast read. One fatal mistake made by a young man, lands his family in a very dangerous situation. How far will his mother go to protect him? This was a good book but was a bit predictable. All in all it was fine. A couple of random plot twists. The dialogue was weak, thin, and underdeveloped. Conversation weren’t genuine and character development thin. An ok quick read. I received an e-ARC from Penguin's First-to-Read giveaway program in exchange for an honest review. The book is an easy and quick read. You won’t want to put it down. You won’t want to put it down because you are sure that the next twist is going to bring THE unanticipated, amazing twist you have been waiting for. I’m still waiting. It completely lacks a surprise element. It also asks you to go along with some character actions that are just over the line. That said, it does have some good twists and turns and is entertaining. And you’ll keep reading because surely what you are looking for is here. Thanks for Penguin First to Read for the ARC! This was a fast-paced book with many twists and turns that left you guessing how it was all going to end. There is more to the story than just a cover-up of an accident including bank robberies and hostage situations. This is more of an action book than thriller. I enjoyed it and would recommend to others. Covering up an accident has unthinkable consequences in Tom Hunt's One Fatal Mistake. Eighteen year old Joshua has been working hard to get into Clemson with the encouragement and help of his hardworking mother Karen. When driving home one night, Joshua accidentally kills a man on a secluded portion of road and is convinced to keep it secret from everyone, including his mother. Noticing Joshua's behavior has suddenly changed, Karen wonders what's worrying her son - anxiety about college or perhaps his recent break-up. When her concern drives her to track his phone she catches him at the scene of the unreported crime trying to locate a piece of evidence that would incriminate him, both their lives take an unexpected turn as they become the hostages of two bank robbers attempting to evade capture. A quickly-paced story, the events unfold rapidly through a series of poor decisions from all parties compounding into the resulting messy situation. Though it was realistic to depict each of the characters with their prominent flaws, the level of suspension of disbelief required to keep this narrative believable was difficult to maintain. The writing mostly kept me engaged, but primarily to see how events would unfold and not because I was invested in any of the characters, who could have benefited from further development to make them more complex and relatable. Overall, I'd give it a 3 out of 5 stars. I was immediate enraptured in this book and read this from beginning to end in less than a day. I could really relate to what the characters through the book were feeling and liked that there were separate storylines that coincide to form the entire event that occurs, Each character has to make choices that will affect all of the other characters and will draw the plot forward. I will definitely be recommending this book to others and want to look into other books by this author. A brilliantly exciting thriller of ordinary people in an extraordinary situation that necessitates making tough choices that will affect their lives forever. I really enjoyed it from cover to cover and warmly recommend it to fans of e.g. Harlan Coben and Joseph Finder. This a quick read about one big mistake that snowballs into a dangerous disaster that results in the family being held hostage. I loved that the characters were human with a variety of flaws and that even though they had good qualities, it wasn't always easy to do what might be perceived as the right thing. I also like how the villains were humanized too. There were a few moments though were I questioned the believability of things. Like the plentiful zip ties. But it didn't ruin the story for me. There was one mistake at the very end of the story ***spoiler***when they say that Amber died in Karen's bed, which didn't happen. I received an e-ARC from Penguin's First-to-Read giveaway program in exchange for an honest review. A pretty easy, fast read....one might describe it as a 'beach read of the thriller/action genre'? The story revolves around a family that, through some bad decisions, gets caught in a hostage situation in central IA. I didn't think the characters were very deeply drawn, but the story/action moved right along at a quick pace with some kind of surprising twists/turns...so that keeps the reader in it. It kept me entertained without too much investment! (I did wonder what kitchen has that many, or any, zip ties?!) I read in the author bio that he is originally from IA....thus his apt description of the layout of the Cedar Rapids IA area. I'd read from this author again! I received this e-ARC from Penguin's First-To-Read giveaway program, in return for reading it & offering my own fair & honest review. I made it about a third of the way through and gave up. I was bored and not interested in these characters. Thank you First to Read for the opportunity to preview One Fatal Mistake by Tom Hunt. 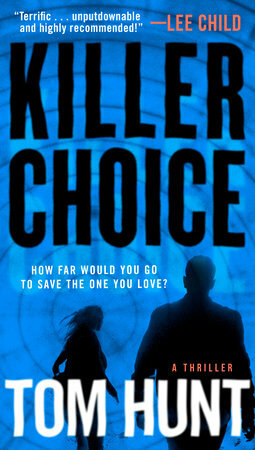 I read Hunt's first book, Killer Choice and enjoyed it. His second novel is better and takes the reader on a roller coaster ride. A young man finds himself in a predicament - he accidentally killed someone and he is worried about getting caught. He is distraught - he texts "someone" who also knows about the killing and was there too (but the reader doesn't know who that is initially). He burns his clothes and realizes that he has lost a glove. He decides to go back to the scene of the crime and find his glove in the middle of the night. His mom, who has noticed he is distracted but doesn't know what is going on, discovers he has left the house. She uses her Iphone to find out where he is and discovers he is in a wildlife conservatory. What is he doing there she thinks, but decides to find out because she is worried. She finds her son there and he tells her about the accident - what do they do. Then they see a flashlight, two figures, and all hell breaks loose! Fast paced and engaging. Some mistakes in the writing, and a bit of a let down with the ending. I like books that put an "everyday person" in a out of body experience so to speak and see what he/she will do. This is one of them - not up to Coben or Barclay - but a good attempt and worth reading. Recommend. 2/5 stars: I've been meaning to get more into thrillers, mystery books, crime stories, spooky reads, etc; and I thought this would be the perfect opportunity to do so. I was wrong. This book was simply not for me but I'm not sure if it was the book's fault or mine. I went into this book thinking it would be a mystery thriller and it turned out to be an action-packed book about a hostage situation. I would have been fine with that, maybe, if I had known from the beginning but I didn't and if that's what you're searching for (which, let me just say, the synopsis is a little misleading) I'd advice you to pick another book. As it was, the story in itself wasn't that compelling to me. The characters felt so flat even though the story had potential for them to feel complex, especially Karen, who I would say is the main character of this book. The characters have to make tough decisions and they are constantly faced with turmoil but their actions feel over-simplified and simply ludicrous. Karen is supposed to be struggling and she's going through some morally-gray times but I just didn't feel any kind of connection to her whatsoever, and same thing happened with Amber. I will say, though, that the pace of the story was good and just fast enough to never get boring, and it made me want to keep reading just to see what the end for every character would be. But again, the end felt dissatisfying to me. Maybe this is just not a type of book I can like and that's not one's fault but overall I can't say I enjoyed this read very much. Fast read, where you are weighing the actions and consequences of the main characters, Joshua, his mom, Karen and dad Teddy after being involved in a fatal accident and their decisions domino into more peril. Fast-paced and action- filled. Enjoyed and puts you on the spot; how far would you go for a loved one. Recommend. Loved this story. It grabbed me from page one and didn't let up until the end. Easy to read and fascinating story. Made me think "What would I do" if this happened to my family. This thriller doesn't let up in the twists and turns that happen and definitely keeps your attention all the way to the end. Only problem is on the last page where it states someone died in the bedroom but that person did not die so hopefully that will be corrected in final edit of book before it is published. Otherwise, great story. Wow, couldn’t put it down. Hunt’s novel is a fast-moving, plausible tale of the downward spiral of lies and violence. The story weaves together the lives of drug-fueled bank robbers and innocent, upstanding people intent upon protecting their own. The twists and turns neatly outline the disintegrating chaos of desperate souls caught in a web of deceit and fear. Each character seems quite believable, and draws you in so that you can’t wait to see how things turn out for them. An added treat for me was that it was set mainly in my hometown, Cedar Rapids, Iowa, and the sites were recognizable. I applaud Hunt for crafting an incredible ride through painful decisions and split-second thinking, and I look forward to more from him. WOW! As a parent, I kept asking myself, “What would I do?” over and over. Would I make the same decisions as theses parents? Would I be willing to live with the consequences of those decisions? This fast paced thriller hooked me from beginning to end. The character were relatable. I actually didn’t want it to end.ni really wanted to follow them for just a little bit longer! This was a good book. The flow of it was good and made it hard to put down. It's incredible what a parent will do for their child. The end was anti climatic and a discrepancy was on the last page. I won't put it here to give it away, but it said someone died that pages back hadn't. Overall a good read. The ending just could have been better. Thanks First to Read for my advance copy!